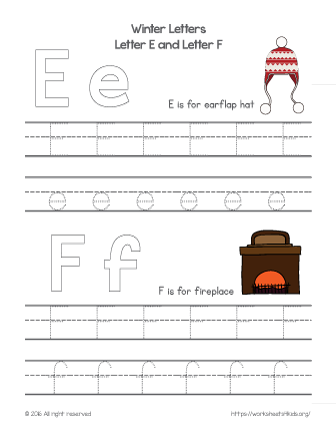 E is for… earflap hat, earmuffs, eggnog and F is for… February, fireplace and frozen. Learn new winter related words and practice writing letters. Bring a holiday spirit in your classroom. Check more winter-themed worksheets.